The white floor is lovely (as, I am sure, is your neighbour's), but I am a sucker for a wood floor. I do love this flat, particularly the grey sofa. Thank you for your input - I agree on the light wood floors - I have this on my first and second floor already and it does look beautiful (even if I say so myself! :) Happy to hear you love today's flat! I also agree with Lise. Looking at the pictures of your gorgeous bedroom it would be such a shame to paint over the wood floor. 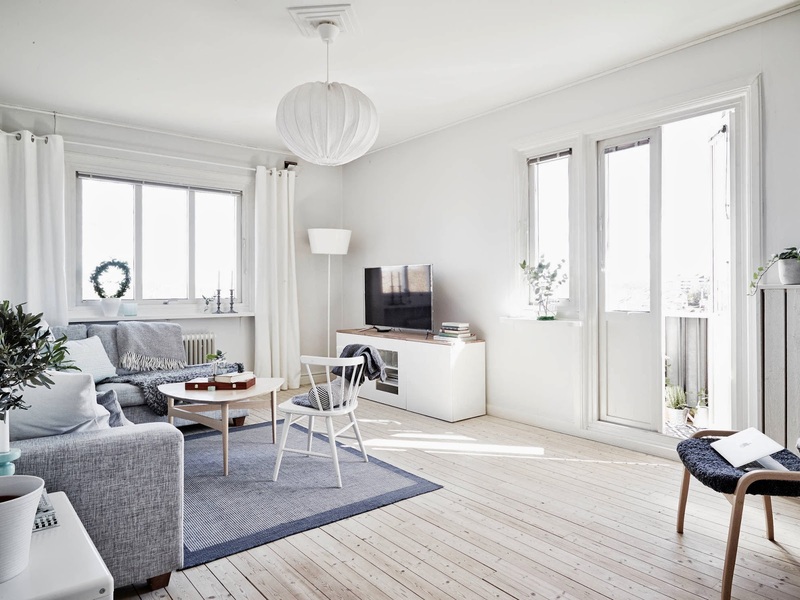 I do love this flat and I'm taking inspiration from it to decorate in my new apartment, though alas, I'll have to make do with a much smaller space and grey tile floors. does anyone know where the lampshade in the living room is from? thanks! Sencillamente perfecto y el dormitorio es bellísimo y delicado. Is that the ikea's sofa?!! It's beautiful!!! 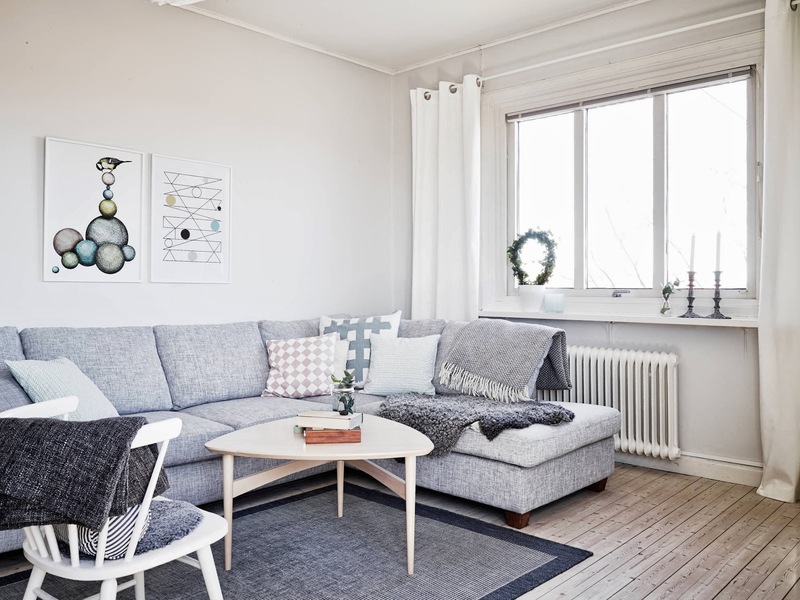 The sofa definitely looks like a hacked IKEA KARLSTAD-- feet were changed. The lamp seems like a KULLA floor lamp with the shade installed upside down, also from IKEA. Can't be 100% sure, but one can certainly replicate this home using less expensive brands. 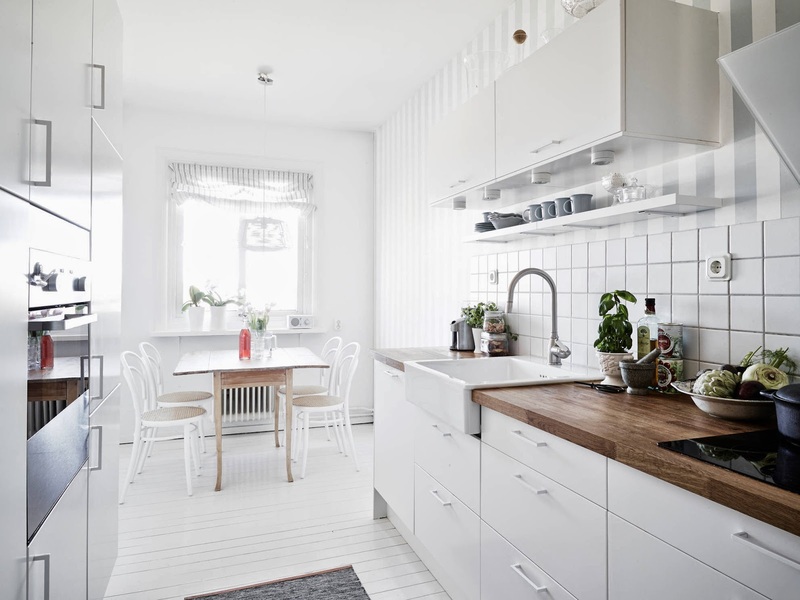 The white floor has also been on my wish list for years and years! Beautiful. 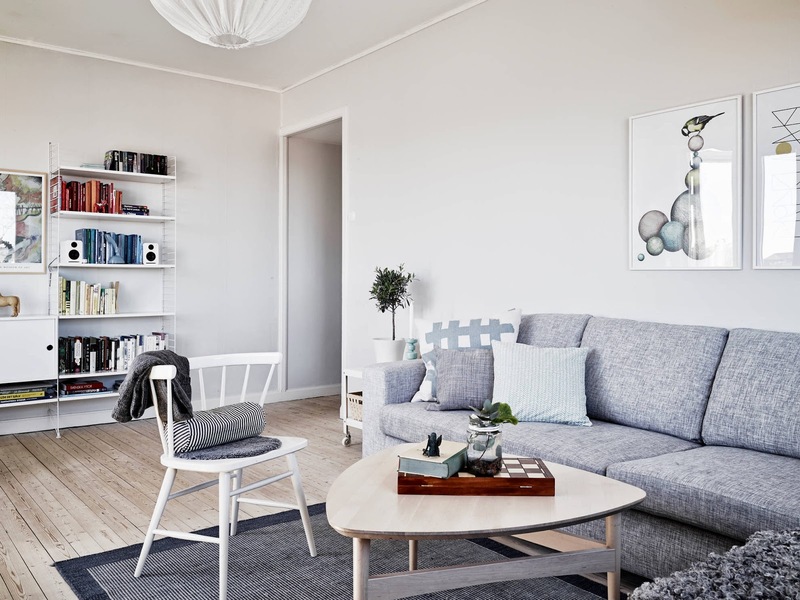 Gorgeous apartment! Although I like white floors, I love the floor in your bedroom and I wouldn't touch it. could always sand it again ! So wonderful, thank you for the inspiration! Love the kitchen! So bright but still cozy.